I am a qualified and experienced educator in the food and nutrition field and more than that, have always had a passion for real and delicious food - especially sharing meals and good times! My background is in food studies, nutrition and health education in secondary, tertiary and community settings. 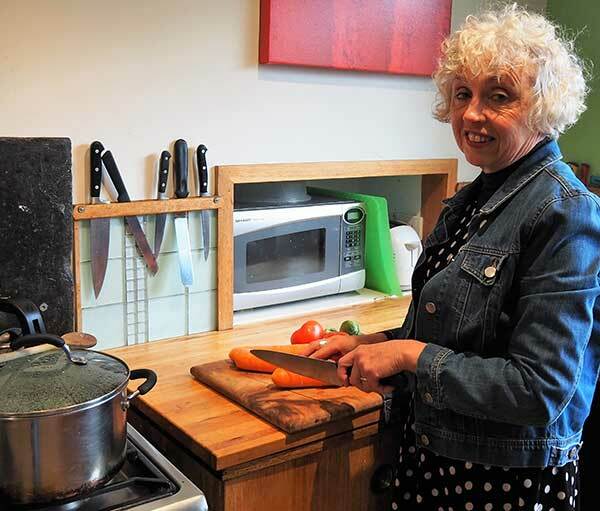 I have set up commercial kitchens to cater for large groups and meet their many dietary requirements, run international cookery classes and provided catering for events. Food and nutrition - they are my passion! From an early age I have been passionate about food – planning, creating it, eating and more than anything, sharing meals and good times around a table! It all started by completing a degree in home economics teaching and moving into the teaching world. Since then I have spent 18 years educating young people about food and nutrition and instilling the joy of food and cooking into them! I have also set up and run the kitchen of a boarding school, catering for large and diverse groups, meeting their many dietary requirements. As well as that, over the years, I have run many successful adult cooking classes on international cuisines and other themes. I am now putting together all these skills and many years of experience in both education and practical pursuits, to provide nutritional consultations, healthy meal plans, recipes, shopping lists and tips and much more. I am passionate about maximizing health and working with people to help bring this about. Let's get started with a consultation or talk to me about presenting to your school, workplace or club.